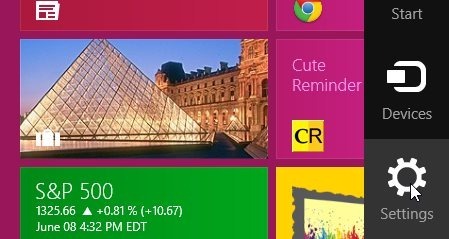 Here is a short and step by step tutorial on how to increase Metro apps notification display time in Windows 8. Whenever the changes take place in Metro apps, these Metro apps display notifications regarding the changes on the screen. By default the display time of notification for these Metro apps is 5 seconds. 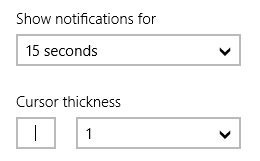 But you can easily increase the display time of notifications to a maximum of 5 minutes. Go through this tutorial and follow each and every step mentioned here to increase the Metro apps notification display time. Don’t forget to check out our recently posted tutorial on How To prevent uninstallation of Metro Apps. Move your mouse cursor and place it over the top right or bottom right corner of the screen to access the charms bar. Click the settings option, then click More PC settings option at the bottom. You will come across full PC settings screen. 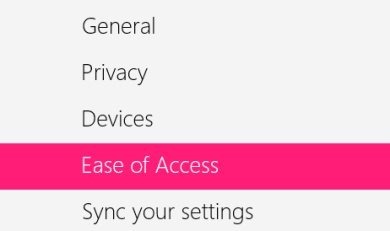 So now you need to choose “Ease of Access” section from the available sections. Within the “Ease of Access” section, you will find few options on the right-side of the screen. Click the dropdown menu under “Show notifications for” option. Select your preferred notification display time from the list. 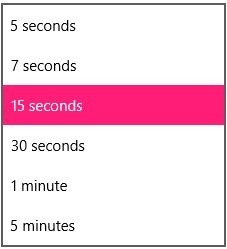 You can increase the notification display time to 15 seconds, 30 seconds, 1 minute or 5 minutes. Thats all you need to do for increasing Metro apps notification display time in windows 8. Follow these simple steps in order to increase Metro apps notification display time.